Wedding Entire Plus Collection by FixThePhoto is a complete collection of all wedding photography presets: Matte Dream, Pro Wedding, B&W Essential, Vintage Love Presets, Pro Matte, Matte Portrait and Pro Portrait. With this presets, you can easily edit your bridal and event images, give them a matte, vintage, black and white, film effects. Using this set you have a lot of opportunities: lightening dark photos, adding clarity and sharpness, highlighting small details, adding unusual color toning (chocolate, orange, aqua, etc. ), adjusting white balance. These beautiful and original presets will make all your marriage shots elegant and memorable. 400 LR presets for wedding and events + free bonus (60 sepia LR presets). Easy application on Mac & Windows. You can edit the settings your own. Made for the photographs in RAW and JPEG formats. Accept to all Adobe LR versions (4, 5, 6 and CC). 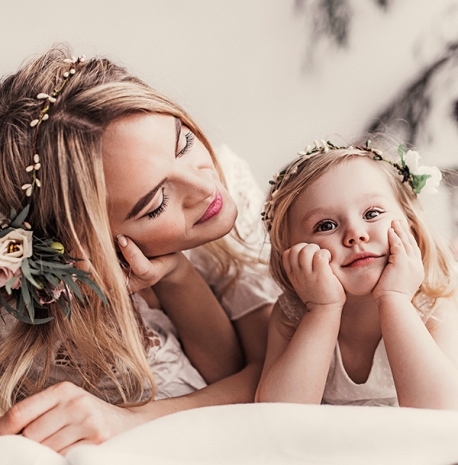 By purchasing our Wedding Entire Plus Collection you receive a free bonus – 60 Sepia Fantasy Presets that are perfect for wedding, portrait, newborn, and family photos. Adopt a popular effect to your photos, simulating antiquity, vintage and retro style. Adjust the intensity of color and achieve soft or deep tones. You can also get acquainted with the Sepia Fantasy Presets collection separately and get it in the Entire Collection of 1822 Lightroom presets. Matte presets. Having applied them, too sharp colors and small tones become noticeable on the photo. The matte effect removes unnecessary defects, and the picture becomes more attractive. This set has 100 presets that will make your photo matte. Toning and colors these presets provide are usually quite warm and soft. Add some magic and mood to your wedding photos, although some presets also highlight the beautiful pale and cool mood. Wedding presets. 30 universal wedding Lightroom presets will cope with any task of editing wedding photos. These presets emphasize the tone of your skin, make it smoother. They are suitable for both minor and deeper photo editing. Black and white presets. In black and white photography, shapes and lines are clearly visible, a great emphasis is placed on rhythm, light, shade and structure. In the first place here are personal impressions, emotions. This is exactly what you need for a touching wedding photo shoot. You will get 70 black and white presets and easily experiment with photos. Vintage presets. These 60 presets will add warm vintage tones and nostalgic feelings to your pictures. This effect gives the "matte" color of the photo, aligns the tone, contrast and adds a unique vintage effect. Presets for portraits. Different 40 color and 30 matte presets create a soft skin tone, make the colors more faded and create light and airy effect. You can independently edit wedding photography to your wish: change the contrast, remove the grain, and give the skin a pale shade with this Entire Collection of wedding photography presets. Wedding Entire Plus Lightroom Presets Collection: 1.Wedding Photography LR Presets:Soft contrast, Film Look, Chocolate, Brighten, Darken, Matte Effect, Frosty Matte, Orange and Teal, Soft Matte, Peppermint, Vintage, Sunny Day, Pretty, Sepia Style, Soft Saturation, Dreamy, Light, Beige, Tonning Chocolate, Cintrast, WB Cooler, WB Warmer, Ethereal, B&W Delicate, Subtle, B&W Charming, B&W High Key, B&W Darken, B&w Lighten, Vibrance, Sentimental.2. Matte Dream LR Presets: Chocolate, Arctic, Dove, Deep Matte, Film, Emerald, Pink Glasses, Honey Moon, Tender, Soft, Sorbet, Dreamy, Peach, Serenity, Teal&Orange, Gold shine, Blueberry, Latte, Sepia Dark, Sepia Light, Beach Wind, Soft Contrast, Pineapple, Brighten, Autumn Leaves, Soft Matte, Honey, B&W, Sea Green, Vintage, Butterfly, Orchid, Choco, Dark Chocolate, Retro, Whisper, Summer, Vibrance, Cake, Merigold, Creamy, Honey, Mint, Daiquiri, POP, Spring, Cold Sun, Bomb POP, Rose Petals, Rainbow, Bright Colors, Lime, Amorous, Lace, Sweet Moon, Pearl, Turquoise Shadows, Glimmer, Angelic, Azure, Cinematic, Dramatic, Blush, Flowers Dreaam, Sharpen, Soft Skin, Orange Juice, Americano, Storm, Clear White. 3. Black and White LR Presets: Soft contrast, Hard grains (for dark), Simple soft for dark), Simple soft (for light), Soft grains (for light), B&W matte grains (for light), Matte grains (for dark), Simple soft vignette (for light), Simple film, Simple B&W (for light), Simple grains, Simple soft, Simple contrast, Grains hard, Grains vignette, Soft film, Hard film, White vignette Contrast hard, Contrast medium, Contrast soft, Soft contrast vignette, Cold soft, Cold medium, Cold hard, Simple B&W (for dark), Simple hard (for dark), Simple B&W 2 (for light), Warm B&W (for light), Vignette B&W (for light, POP B&W, Medium contrast (for dark), Warm grains, Contrast B&W (for dark), Matte B&W (for light), Medium light, Dark blue, Simple B&W (for light), Simple grains, Matte_I, Matte_II, Matte_III, Soft contrast, Med contrast, Hard contrast, Sharpens_I, Sharpens_II, Sharpens_III, Soft skin, Warm shadows, Nature, Med Contrast, Light shine, Simple Soft, Sharpens soft, Contrast_I, Contrast_II, Contrast_III, Vignette_I, Vignette_II, Vignette_III, Vignette_IV, Blue shadows, Matte effect, Classic, Simple B&W 3 (for dark), B&W matte (for light), Soft contrast, Warm effect (for dark), Warm effect (for light). 4. Vintage Love Lightroom Presets: Sun Light, Autumn Green, Ivory, Candy, Amour, Soft, Gentle, SunSet, Velvet, Fashion, Perfect, Retro, Tiffany, Mint, River, Glow, Tic Tac, Delicate, Nostalgic, Wild, Sepia Classic, Silk, Chocolate, B&W, Aqua, Retro, Film, Moody, Sweet, Lavanda, Fantasy, Emerald, Old Film, Summer, Old Fashioned, Stone, Sepia Matte, Crewamy, Cloudy, Seashell, Saphir, Turquoise Shadows, Oscar, Sun flower, White Rose, Sharpen, Color POP, Darken, Brighten, Medeline, HDR, Monochrome, Pretty, Rich Blacks, Pumpkin, Tender, Coral, Contrast, Dust, Frame of Love. 5. Professional Matte Lightroom Presets: Amber, Dove, Pine, Color POP, Pumpkin, Heaven, Perfect, Monochrome, Contrast, Retro, Rustic, Clean, Film, Chocolate, Flash, Sky Cream, Darken, Champagne, Lovely, Cloud Shadows, Nautical, Vintage, Pastel, Chantilly, Forest, Young, Ivory, Sunny Day, Summer, Noir. 6. Professional Matte Portrait Lightroom Presets: Vintage, Sorbet, Color POP, Subtle, Film, Vanilla, Vibrance, Chocolate, Teddy Bear, Nice Skin, Moody, Innocent, Silk, Darken, Brighten, Candy Bar, Sharpen, Pretty, Apple, Dreamy, Sea Green, Lavanda, Clarity, B&W, Cinematic, Sunligt, Sepia, Golden Hour, Pink Glasess, Aqua.7.Professional Portrait Presets: Portrait Warm, Portrait B&W, Portrait Contrast,Portrait Soft, Portrait Dehaze, Portrait Sepia, Portrait Cool, Portrait Cinematic, Portrait Beauty, Portrait Vivid, Portrait High Fashion, Portrait Brighten, Portrait Smooth Skin, Portrait Matte, Portrait Fine Art, Portrait Film, Portrait Color, Portrait Sharpen, Portrait Spearmint, Portrait Lighten, Portrait Grains, Portrait Evening, Portrait Mild HDR, Portrait Vintage, Portrait Dark Contrast, Portrait Boost, Portrait Cross Process, Portrait Sea Breeze, Portrait Natural, Portrait Reduce Shadows, Portrait Vibrance, Portrait Auto tone, Portrait Carpe Diem, Portrait Perfection, Portrait Lavender, Portrait Pastel, Portrait Strong, Portrait Color POP, Portrait LOMO, Portrait Silver.